One of the most overlooked but rewarding spring cleaning tasks: window cleaning! It’s hard to see the layers of dust that accumulate on all windows over time, so window cleaning takes a backseat to other projects. But there is an amazing improvement in a whole room’s lighting once the windows are properly cleaned. Just one or two times a year is sufficient, and the benefits are truly worth it. Here’s a look at some of the nitty-gritty questions involved with window cleaning and the best advice for each concern. What Window Cleaning Solution Is Best? While there is a wide selection of window cleaners on the market, it’s just as easy and so much less expensive to make a solution using everyday household ingredients. The key to leaving few streaks is using a very small amount of soap. The fewer suds, the better! What’s the Best Process for Outside Window Cleaning? Spray the entire window with water first. Then soap up the window by dipping a strip applicator or some soft-headed sponge or mop. If stubborn spots are not removed quickly, scrub them with a cloth dipped in undiluted vinegar. After the exterior windows are clean, all of the cleaning solution must be removed. It is possible to spray down the window with water and allow them to drip dry. When in a hurry, this can be an adequate option. After all, the first good rain is going to make spots on the window anyway! However, it is so rewarding to have the windows perfectly clean if going to all the effort. One method to avoid streaks or spots is to thoroughly dry the window with a lint-free or micro-fiber towel. The most pristine way to finish is using a squeegee. 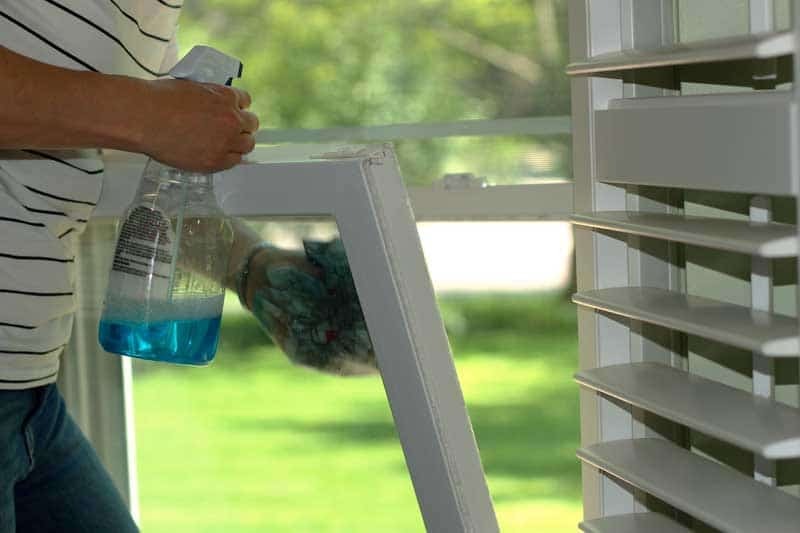 To avoid streaks, pull the squeegee in one motion from the top to the bottom of the window. Be sure to wipe the squeegee dry after every swipe. It may take a little while to figure out a method to use the squeegee without leaving streaks, but practice makes perfect! A telescoping handle is key to washing tall windows or windows on the second story. Both sponges and squeegees are available to screw into telescoping handles. It’s a worthy investment to avoid the dangerous proposition of moving and climbing ladders over and over. 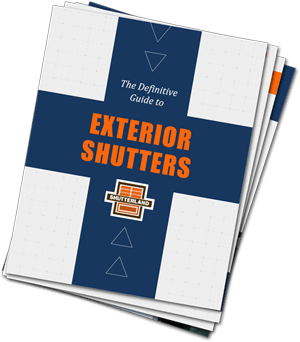 And while you have the telescoping handle or ladder out, it’s a great time to scrub off exterior window shutters, too. Just make sure to rinse off all of the cleaning solution before finishing. How do Those Tilt-in Windows Work? Some newer windows are equipped with the option to tilt in, allowing window cleaning to be accomplished from the inside of the house. Sometimes this is preferable to removing all of the window screens and washing from the outside of the house, especially on second-story windows. It’s really a personal preference which is the best option. When tilting windows in, it’s easier to use a handheld bottle of cleaning solution to spray on the window, scrub up and then squeegee dry, using the same technique described earlier. What Products Can Help in Window Cleaning? A squeegee may be the most helpful product to assist in cleaning windows. Attached to a longer pole, a squeegee can work well to quickly dry upper windows with minimal streaking. Windex also developed an all-in-one product that includes a wand with a telescoping handle to hold specially-formulated cleaning pads. The instructions show a simple process of wetting the outside window with a garden hose, scrubbing the window with the water-activated cleaning pad, then rinsing suds off immediately. They promise the formula’s sheeting action will rinse the window to a streak-free shine, with no need to hand dry or use a squeegee.